The Master, back on Earth has constructed a device to gain control over Kronos, a creature from outside of the time vortex. He uses the device but it proves dangerously unstable. The Third Doctor arrives and shuts down experiment but the Master reactivates it, using it to ensnare a High Priest of the lost city of Atlantis, and then to attack UNIT forces. 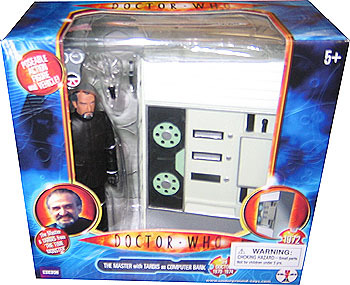 The Master takes travels back to Atlantis in his TARDIS, now in the guise of an advanced computer bank, to steal the sacred Crystal of Kronos with which he hopes to dominate Kronos. The Doctor follows in his TARDIS with Jo Grant but can't prevent his enemy destroying Atlantis. Escaping in their TARDIS's the Doctor and the Master confront each other within the time vortex where the Doctor threatens to 'time ram' the Master's TARDIS, a huge explosion caused by two or more TARDISes trying to materialise in the same place in Space and Time. The Doctor cannot bring himself do it, but Jo operates the controls and the two TARDIS's collide. Instead of the expected explosion both TARDISes reappear in a strange void. 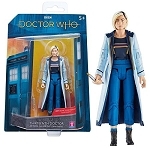 The 'time ram' energy has released Kronos, who agrees to return the Doctor and Jo to Earth but, plans to destroy the Master. The Doctor intervenes and pleads for mercy on the Master's behalf ensuring he too goes free.